Get immediate medical attention no matter where you are. Hastings Mutual, in cooperation with Medcor®, is offering the FirstCall Work Injury Hotline, a phone number that Workers’ Compensation policyholders can use to receive medical advice for non-life-threatening injuries. During a call, a skilled medical professional will assess an employee’s injury and provide first aid instructions or refer the patient to further medical care. The Work Injury Hotline is available on all Workers’ Compensation policies without restrictions. All policyholders and their employees can access this emergency hotline at any time, 7 days a week. Contact your local independent insurance agent to learn more about this valuable service, available at no additional charge. If you are a Workers’ Compensation policyholder who pays premiums through your independent insurance agent, please download the Opt-In Form to receive a report on each incident submitted for your company. When the form is complete, click “Submit” to send it to Hastings Mutual. If you are a Workers’ Compensation policyholder who pays premiums directly to Hastings Mutual, please log in to our website to opt in to the FirstCall Triage Incident Reports website to receive a report on each incident submitted for your company. Employee receives immediate attention from skilled injury triage professionals, toll-free, 24/7. Costly emergency room visits and unnecessary doctor visits are avoided, reducing both medical-only and time loss claims. The triage system can help identify injuries that may be more serious than they first appear, and quickly direct those employees to the care they need.  When off-site care is necessary, employees are guided to the employer’s in-network panel of providers. Supervisors are freed from making medical decisions. Reduction in claims, costs, and litigation. When an injury occurs, the affected employee and supervisor simply call the FirstCall Work Injury Hotline at the moment of the incident. The call comes directly into Medcor’s state-of-the-art call center, available 24/7. Medcor’s call center is staffed by registered nurses specially trained in workplace injury triage. The operation is overseen by a full-time physician who is board certified in emergency and internal medicine. When Medcor receives the injury call, the triage nurse speaks with the supervisor and the injured employee. If language is a barrier, a translator joins the call. The nurse gathers information about the incident, injury, symptoms, and the worksite. The nurse assesses the injury and recommends a treatment that’s medically appropriate for the case. The average call lasts about 10-15 minutes. If the injury doesn’t require off-site care, the nurse provides injury-specific first aid instructions and the employee may return to work. If the employee needs off-site care, the nurse makes a referral recommendation. Your preferred providers are pre-loaded into Medcor’s system, which successfully guides your employees “in network.” The nurse takes time to answer the employee’s questions to ensure he/she is comfortable with the recommendations. Finally, the nurse closes the call with the supervisor, explaining the treatment and process. Employees can call back – at no extra charge – any time their symptoms change or if they have more questions about their injuries. After each call, Medcor’s software automatically sends detailed reports to you. Case managers learn about new claims in time to be proactive, safety managers are alerted to start investigations, and first reports of injury can be handled for all 50 states. When referrals are made, providers are notified in advance to ensure coordination of care and to emphasize your company’s return-to-work policy. 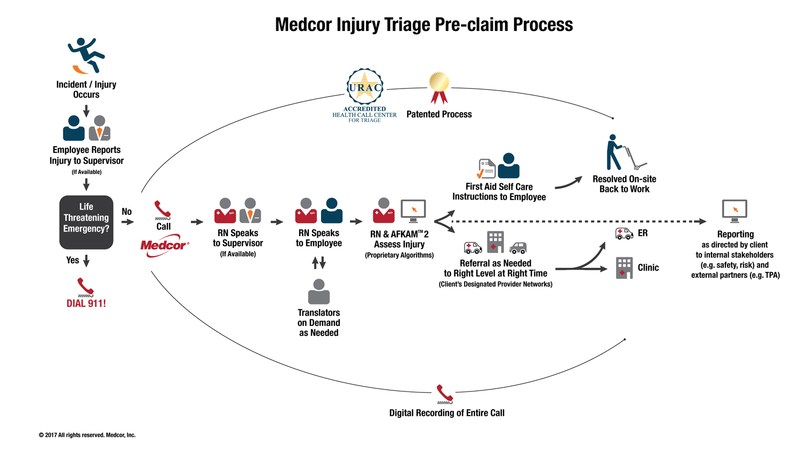 Medcor’s triage system protects the privacy of personal medical information. What is the average length of call to the Work Injury Hotline? A typical call lasts between 10-15 minutes. The call center is staffed with registered nurses, 24/7, under the direction of Medcor’s full-time medical director. The Medcor Injury Triage medical director is board certified in emergency medicine. Yes. The service does not deny employees their right to medical care; it is intended to provide employees with expert information to aid them in making the best decision for their medical care. Make sure your staff is aware of the Work Injury Hotline and how to use it. Be sure to post the hotline number in a place where it is highly visible. We have posters and wallet cards available that you can use to make sure everyone is aware of the number and how to use it. Prominently display the FirstCall Work Injury Hotline phone number at your facility. Distribute wallet cards to supervisors or other leaders in your company so they have quick access to the FirstCall Work Injury Hotline.